Who is most likely to use a Magnetic Finisher? A Magnetic Finisher is ideal for a manufacturer of very small, complex, non-ferrous parts. What media can I use with the Standard Bowl? What media do I use the CBW (wet) bowl with? 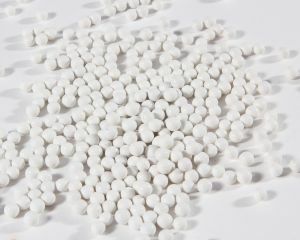 Porcelain balls or plastic medias. What media do I use the CBD (Dry) bowl with? Dri-Shine VII. The use of any other manufacturer’s media will void the warranty of the Magnetic Finisher. How long can I leave the Magnetic Finisher running? 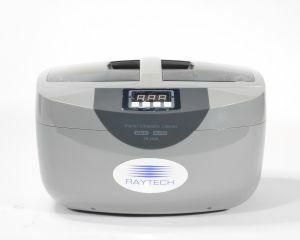 The maximum is 60-minute cycles. If I magnetize the pins by accident, how do I remedy this? You may either purchase new Turbo Pins or buy a demagnetizer locally. What happens if I try to finish ferrous metals? Ferrous parts are magnetic and the machine will not function. Caution should be taken, as damage can be done to the machine if ferrous metals are attempted. If you have any questions, test with a magnet. Only non-magnetic materials can be used. 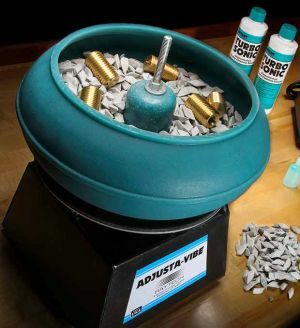 How do determine if I need a vibratory tumbler or a magnetic finisher for my application? The best way to begin is to identify your individual needs, including what you need the finisher to do, the type of material that requires finishing, and the volume of the load. 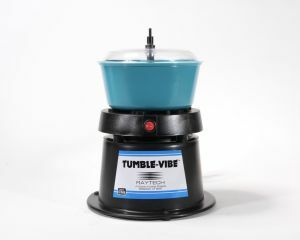 What are the general features of the various tumbler models? 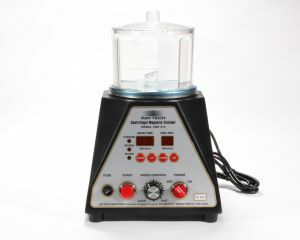 The smaller models, TV-5 & TV-10, are best suited for light deburring and polishing and can be used with wet or dry media. 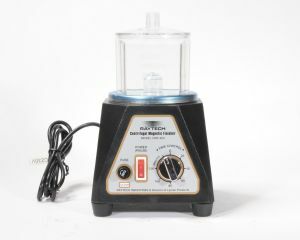 The Dri-Polisher, as its name implies, should only be used with dry media. 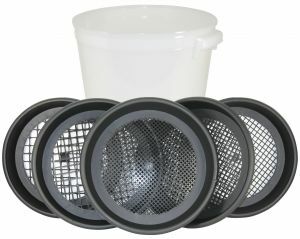 The TV-5 & Dri-Polisher are the only models that do not have drains, all other models are equipped to work with the strainer assembly and rinsing systems. Do not use the TV-5, TV-10 or the Dri-Polisher with steel or ceramic media. 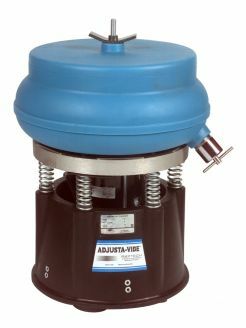 The Adjusta-Vibe models (up to .75 cu ft) are ideal for heavy deburring, flash removal and polishing, this includes the AV-18, AV-25, AV-40 and AV-75. The Tumble-Dump models are also suitable for heavy deburring and polishing, with the added ability to quickly and easily unload by tilting the bowl. Very small, complex, non-ferrous metals, in need of burnishing and polishing, would be suited for our CMF Magnetic Finishers. Can I use a different size bowl on a base without a problem? No, the tumbler is designed to function properly only with the specific bowl. A smaller or larger bowl will cause damage to the motor. 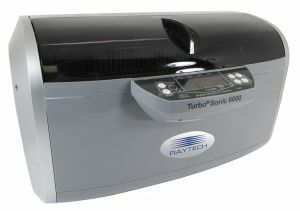 How long should I run a tumbler? Tumblers are designed to be run 10-12 hours a day. Can all tumblers use either wet or dry media? 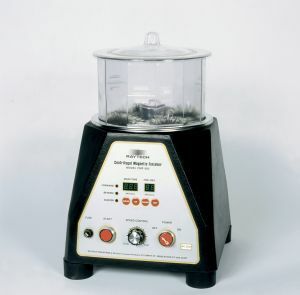 The Dri-Polisher is suited only for dry media. All other models may be used with either media. Can I use steel shot in the tumblers? You may use steel shot the models AV-25SS & AV-40SS only. 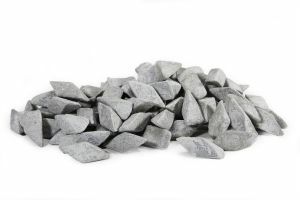 To determine media capacities, multiply the media density (found with each individual media listing) by the cubic foot capacity of the tumbler (found in the individual tumbler listing). Examples are listed below. Note this is the total media capacity only. Actual media amounts will vary in direct proportion to the amount of parts being tumbled. Ceramic (90 lbs/cu ft) in a TV-10 (.10 cu ft). 90 x .10 = 9 pounds of media. Porcelain Balls (125 lbs/cu ft) in an AV-40 (.35 cu ft). 125 x .35 = 43.75 pounds of media. Ceramilite (65 lbs/cu ft) in a TV-5 (.05 cu ft). 65 x .05 = 3.25 pounds of media. Plastic (55 lbs/cu ft) in an AV-75 (.75 cu ft). 55 x .75 = 41.25 pounds of media. Plastic (55 lbs/cu ft) in an AV-18 (.18 cu ft) 55 x .18 = 9.9 pounds of media. 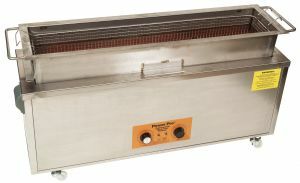 Dri-Shine III (30 lbs/cu ft) in a Dri-Polisher (.12 cu ft). 30 x .12 = 3.6 pounds of media.